Air Malta’s flight to Paris Orly on Wednesday afternoon was cancelled at very short notice, after passengers were already checked in. 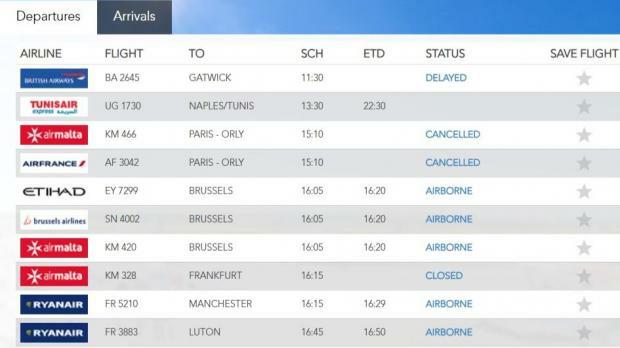 Flight KM466, code-shared with Air France, was due to leave at 3.10pm. The passengers were not given any information and the flight boards initially said that the flight was delayed. Just before 5pm, they were informed the flight was cancelled. Air Malta said when contacted the flight was cancelled due to an "unprecedented number of pilots reporting sick concurrently". It said it was doing its utmost to provide transportation on alternative flights or on other airlines. The airline apologised to passengers and said it regretted the inconvenience caused.